In the classic style of Bob Wills and the Texas Playboys, and inspired by great bands like Asleep at The Wheel, this sound of classic Americana comes direct from Canada. 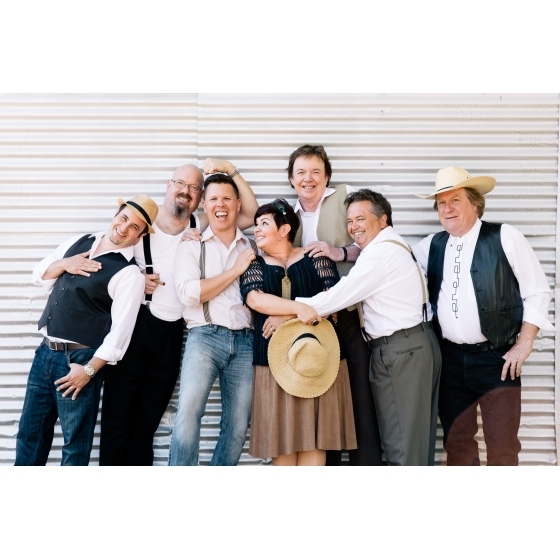 The Western Swing Authority is a unique collaboration of some of Canada's top studio and touring musicians who share a common love for authentic Western Swing. A group of seasoned professionals whose bios include mulitple CCMA awards and JUNO nominations and resumes that span from Gordon Lightfoot to John Cowan to George Canyon to Kellylee Evans. Since April of 2009 the WSA has been drawing bigs crowds to their regular shows. Now with the success of their debut album, they are bringing their music to people all around the world. Since the release of the first album in July 2010 the Western Swing Authority has enjoyed great reviews and airplay in 17 different countries, including Canada and the US. The Western Swing Authority is..